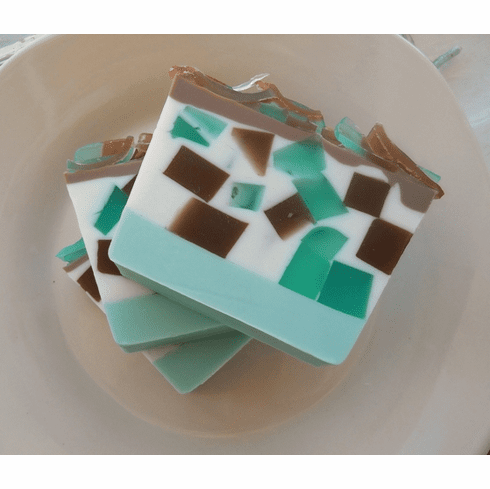 With its contrasting hues of blues and browns, it not only is a cute bar, it is moisturizing as well because it contains almond oil. Try this minty favorite and you will be pleasantly surprised. Weighs 5.5 oz.